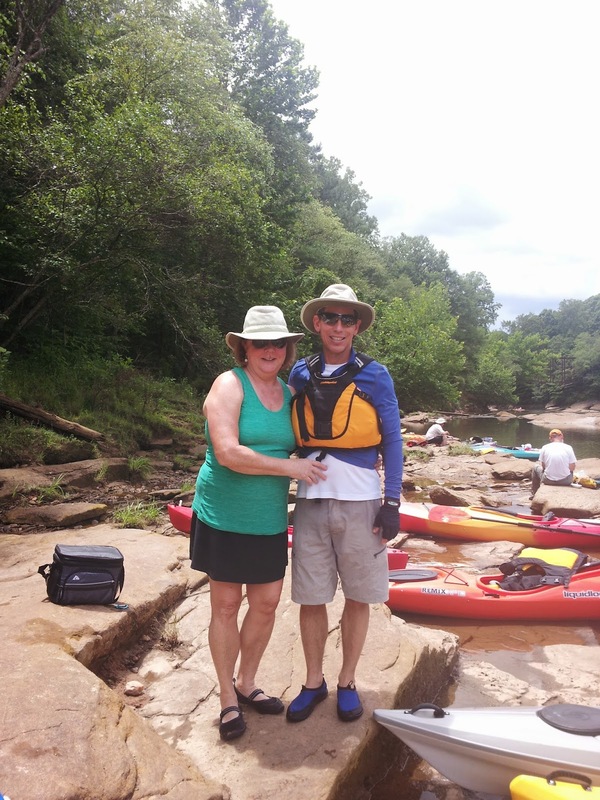 Susan and I set off on our first river kayaking adventure on Saturday. 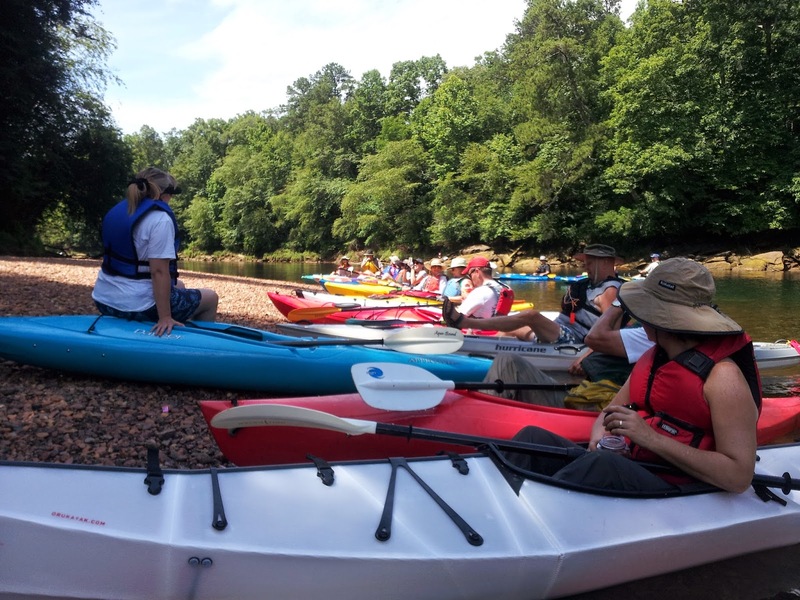 We joined in on the first of a three part series sponsored by the Chattahoochee Riverkeeper called the CRK/CRNRA River Discovery Series. 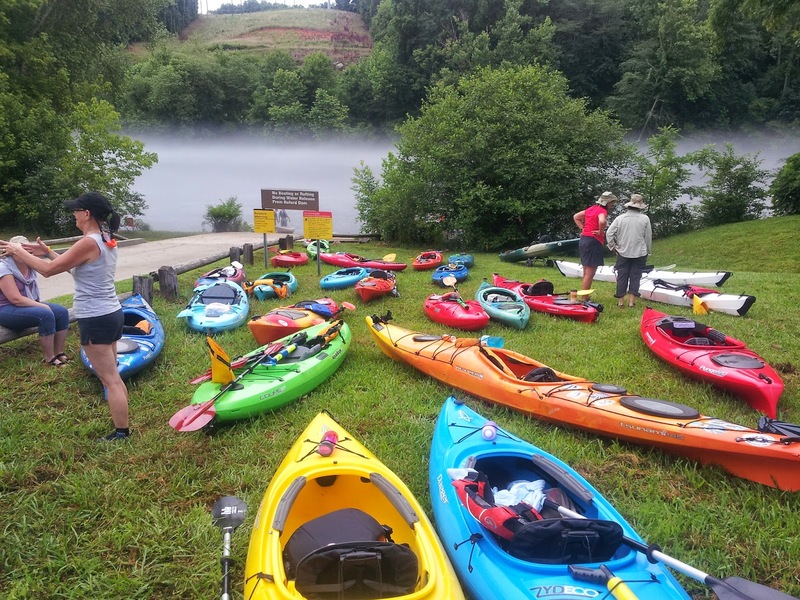 Our trip is described as follows "Buford Dam to McGinnis Ferry (9 miles). 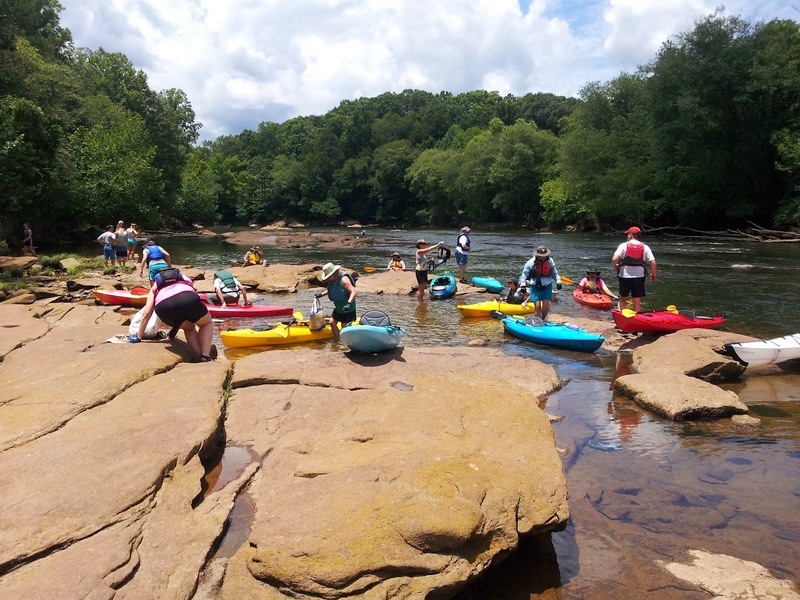 Designed for beginners and advanced paddlers alike, the series consists of three trips running the length of the river within the Chattahoochee River National Recreation Area (CRNRA). Hosted by CRK in partnership with the CRNRA." The other two trips are on July 19th and August 16th. 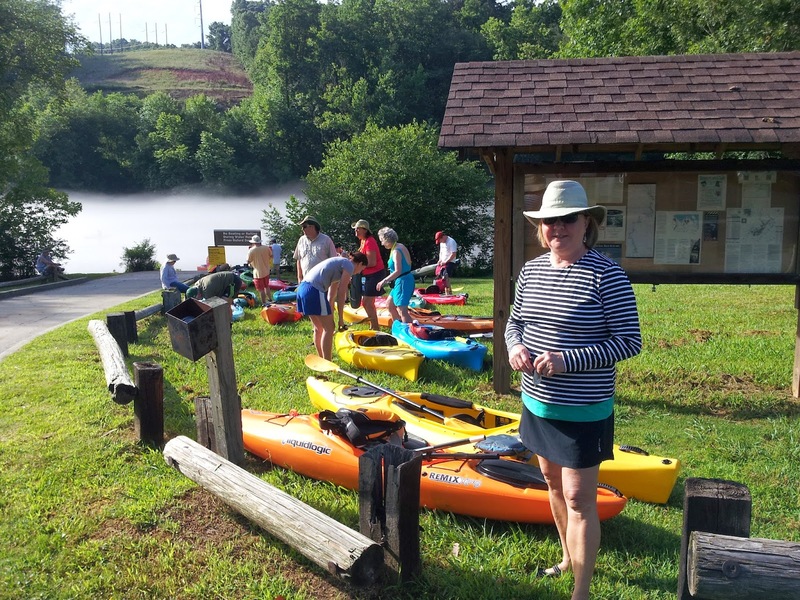 We left home at 7:30AM and arrived at the drop-off point just below Buford Dam at the Lower Pool Park at 8:45AM. Everyone was instructed to meet at the park before dividing up to caravan to the take-out point north of McGinnis Ferry Road. Passengers stayed with the boats and drivers drove to the take-out point. 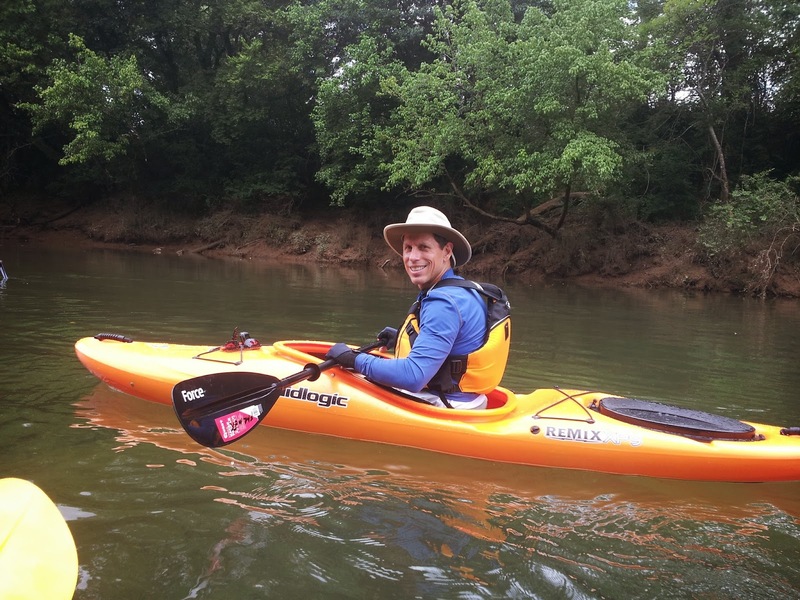 Since McGinnis Ferry Road is south of the put-in point and closer to home I left our vehicle there and hitched a ride with another paddler back to the Lower Pool Park. Other drivers hauled the rest of us back to the start. We had already driven over an hour to get there. 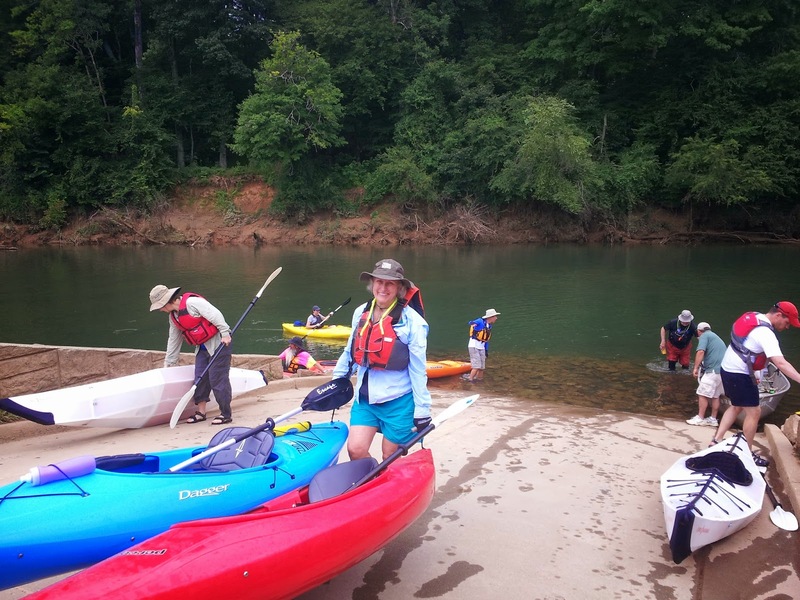 The logistics of kayaking seem to center around coordinating the retrieval of either boats or vehicles. It's a small price to pay! 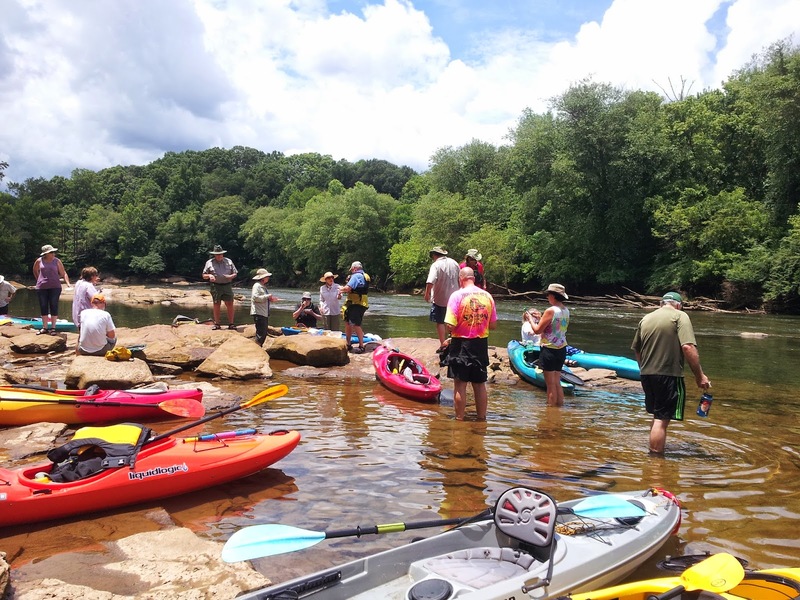 The group consisted of about 30 paddlers including several riverkeeper guides and Ranger Jerry with the National Park Service. We hit the water at about 10:30AM just as the fog cleared from the river. The water temperature was somewhere around 50-degrees. It was cold! Fortunately, Susan and I ended up in the "drink". 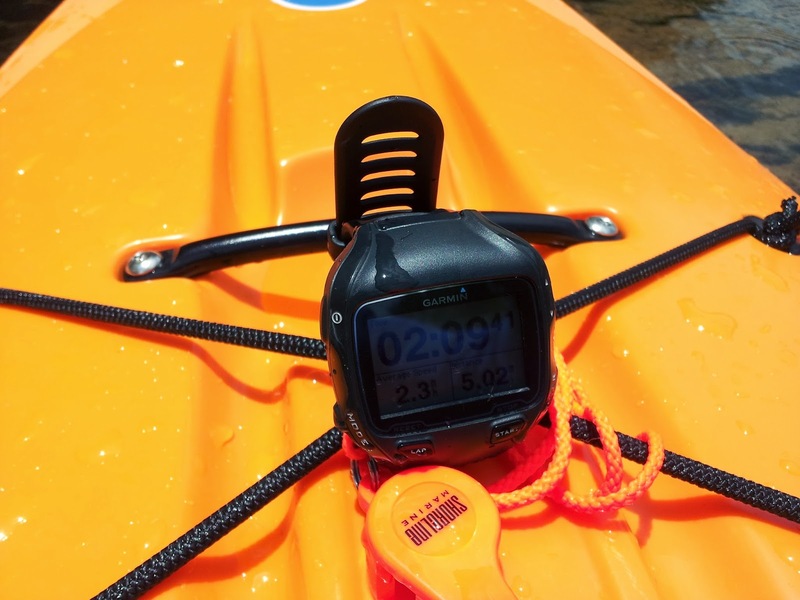 The planned course would take us about 9-miles over a duration of about 4-hours, 3 1/2-hours not including breaks. 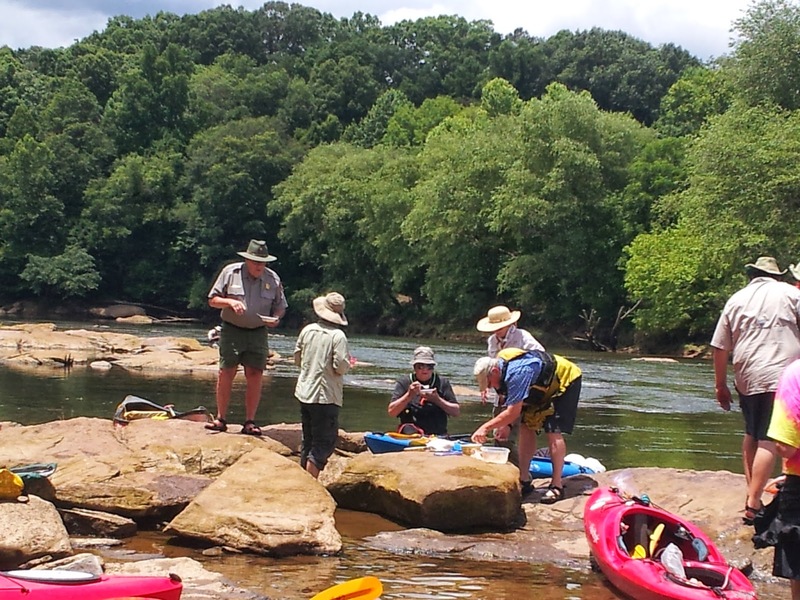 The Chattahoochee Riverkeeper guides came well prepared. One of them had a bag of home-made chocolate chip cookies, peach cobbler, and... wait for it... vanilla ice-cream that he freely shared. You can see the bowls of ice-cream and cobbler being passed out in the image below. 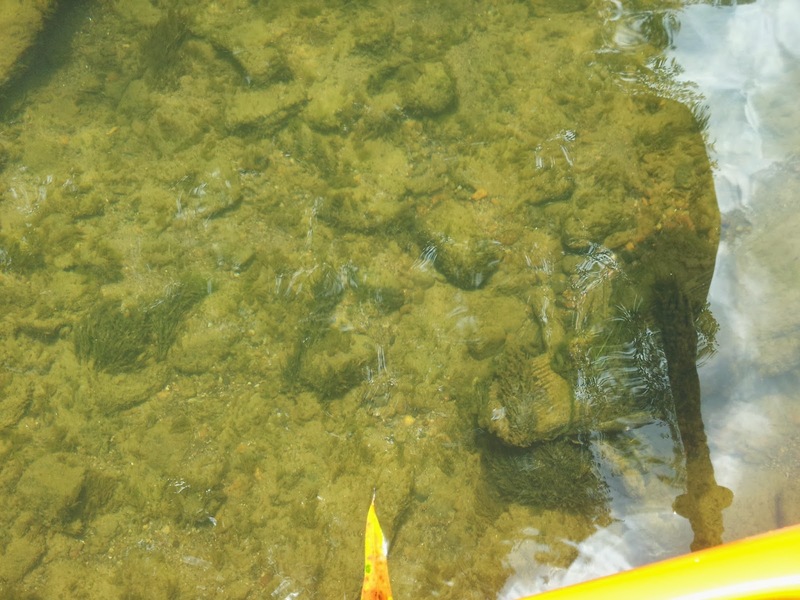 Two paddlers were in OKU kayaks. They are made of corrugated plastic and fold into something about the size of a large suitcase. When set up they seemed robust and were obviously well thought-out. 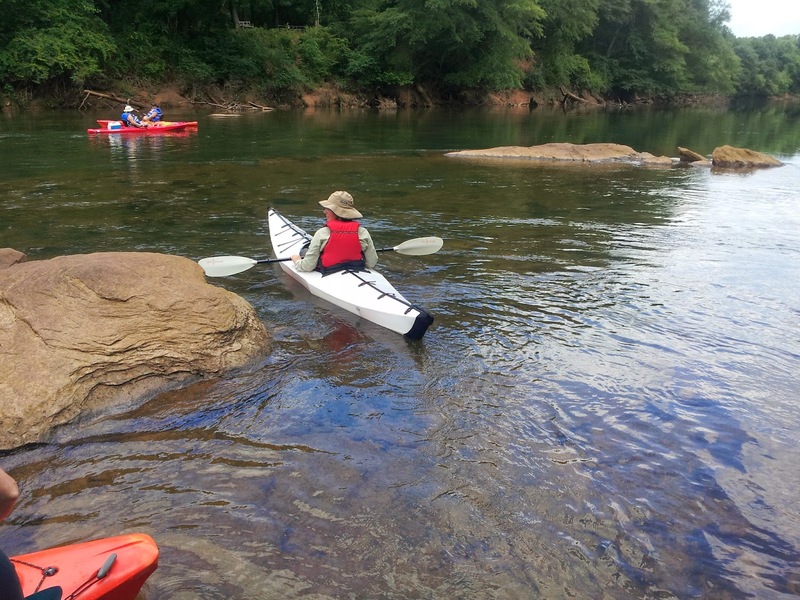 The Chattahoochee River from Lower Pool Park to McGinnis Ferry Road was very clean and almost devoid of any trash. That's likely due to the groups frequent planned river cleanups. There were fisherman all along our route. 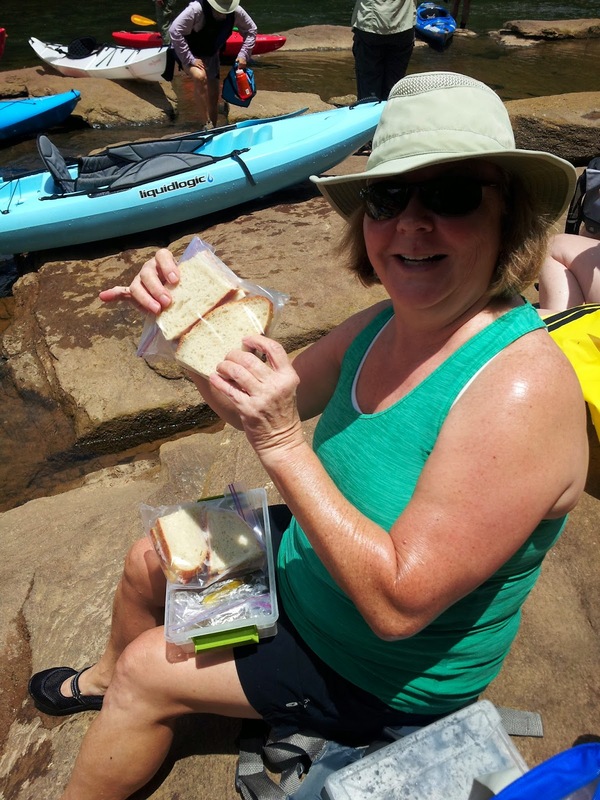 I didn't see any fish from my kayak but several fisherman showed us their catch. 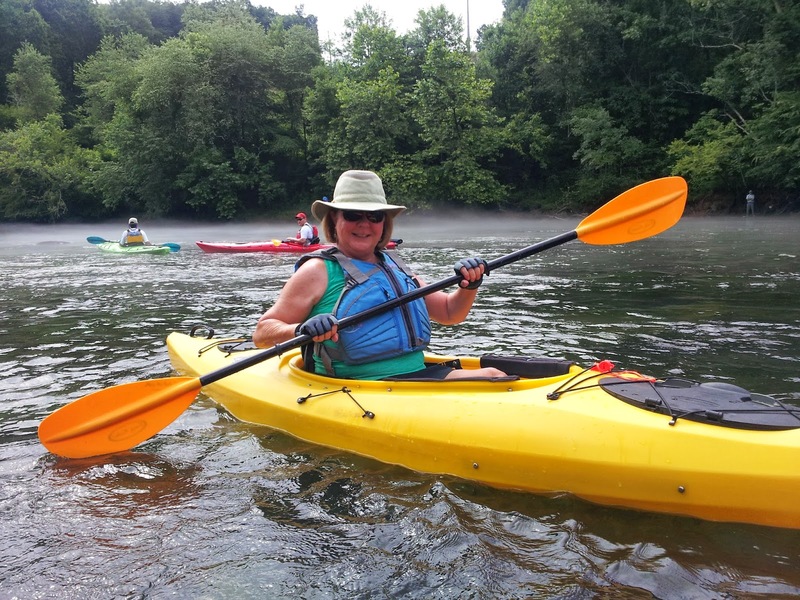 I wore a long-sleeve shirt over a short-sleeve shirt, kayaking shorts and my Tilley hat all day and only felt warm a few times later in the day. The cold air off the water felt good. The headwaters of the Flint River start at Hartsfield-Jackson International Airport in Clayton County just a few miles north of where Susan and I live. It's a shame that it is the 2nd most endangered river in the USA after the Colorado River. 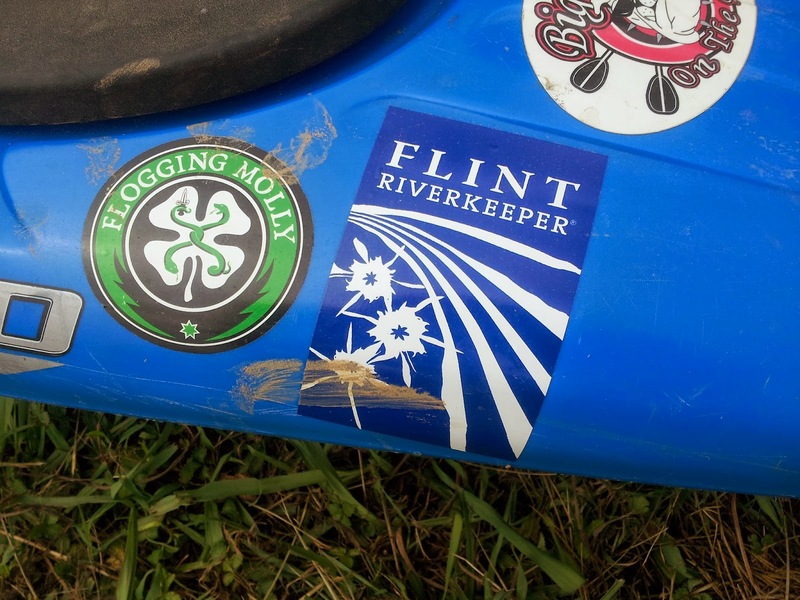 Apparently there is a Flint Riverkeeper organization. Overall, the trip was a lot of fun. We got to do something new and meet new people. 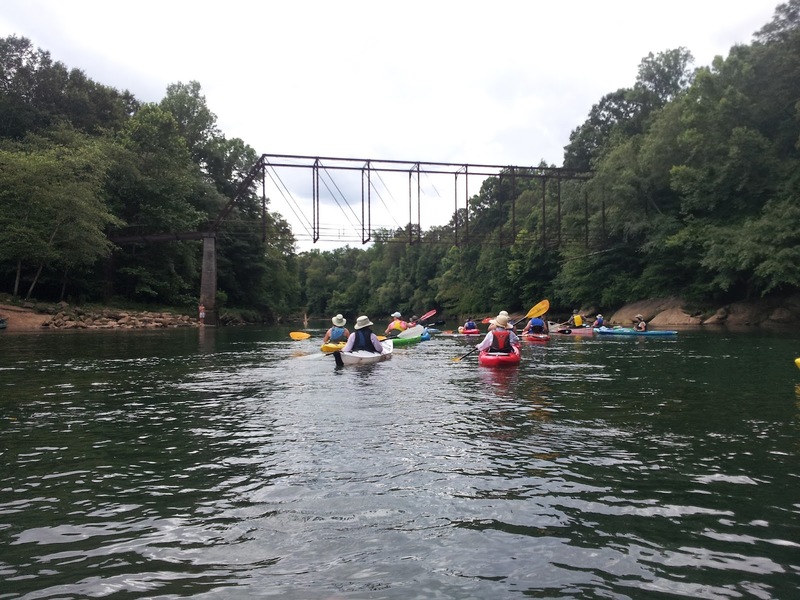 It was a nice way to spend a Saturday and far better than the lake paddling we had done previously. 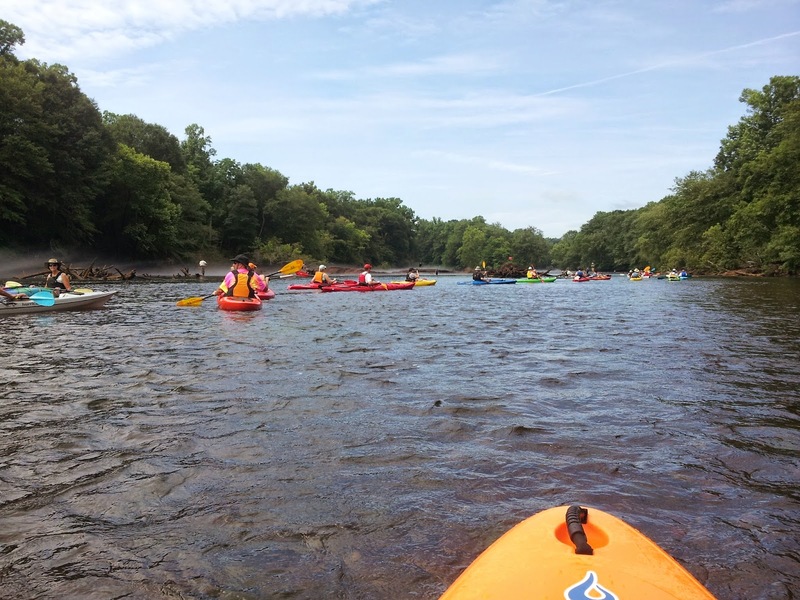 There were a few areas of very light rapids. 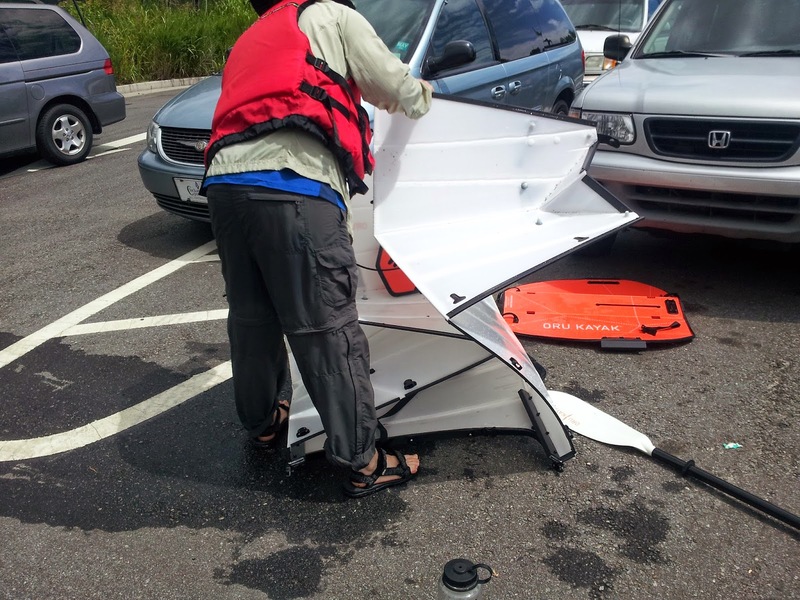 Only a few of the paddlers had skirts on their boats. I probably accumulated about a gallon of water in my boat all day. Susan was a little less fortunate. The weather was great. We did have one brief period of light rain but not lightning or thunder. We're already checking our calendars for the trip.